I don't normally go super early mornjng events but I felt a Sunday walk wouldn't be that bad with these guys and gals. 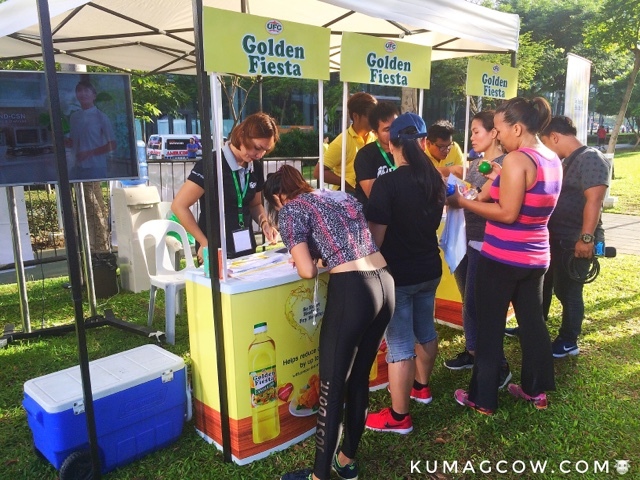 Just recently, Golden FIesta held the Golden Fiesta Heart Health Camp at the 30th Park in Taguig so early dwellers from all around BGC and nearby places had the chance to work out with real deal fitness coaches and fitness driven celebrities. 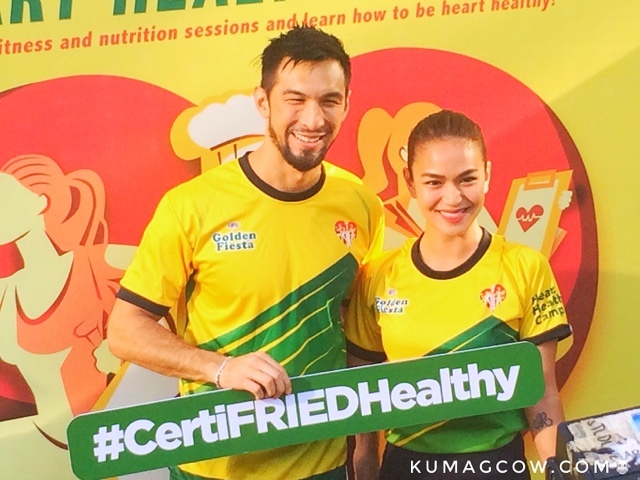 I saw Ana Roces, Anton Del Rosario, Jun Macasaet, Sam Ajdani paired up and were pitted against each other in activities in time trials to see who wins in the workout regimens that the coaches prepared for them that morning. 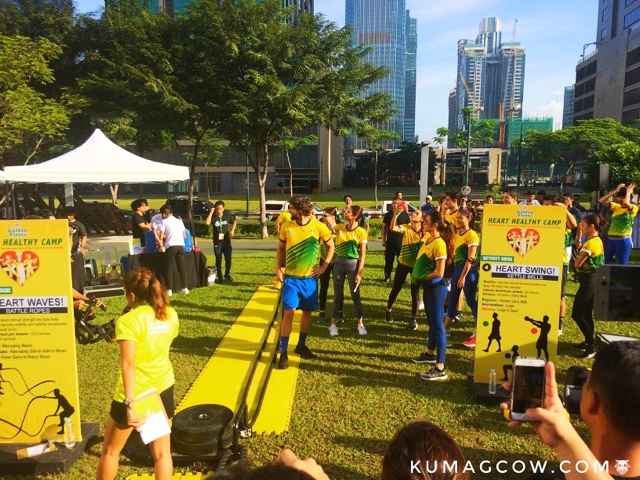 They were also joined by newly revived boyband 1:43 and whisked away by Solenn Heussaff and Nico Bolzico as they went head to head complete with trash talk in a funny energetic mood that morning. I would vote Nico for president after that morning's activities. 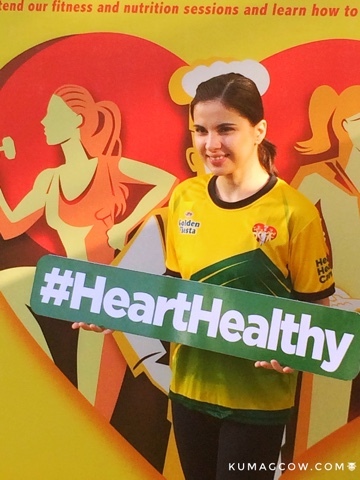 Earlier, Golden Fiesta Canola Ool also had nutritionists, medical experts and their sales representatives took time to also join the program while Chefs showed hearty healthy meals and prepared it with Golden Fiesta Canola Oil which is a healthier alternative to your usual cooking oil. We've been Facebook friends forever since Philippine Fashion Week days but Sam Ajdani looks so good in person. He also is part of Nico Bolzico's team who eventually won the time trials. Congratulations guys! 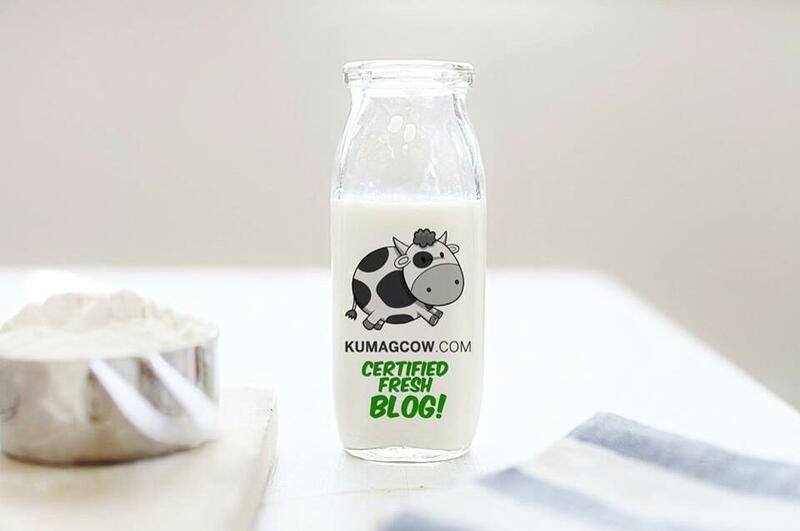 Now isn't that nice? Well they're also doing this in other places in the metro so if you want to catch it please go to the Nutriasia or Golden Fiesta Facebook page because it's all there!